Alen Stajcic has finally made his first public comments since his axing as Australia Matildas women's football coach on January 19, emphasising the enormous toll the saga has taken on himself and his family and that he is hell-bent on repairing his reputation. 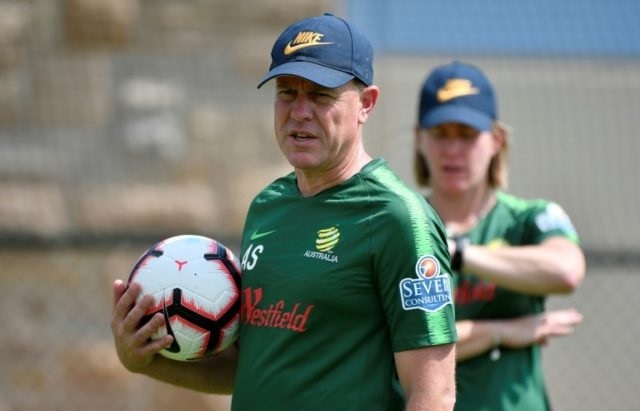 The emotional 45-year-old initially read out the prepared statement that had been widely circulated on Monday morning before taking questions from the media, addressing the toll it has taken but also his belief the Matildas can still "be a force at the World Cup". "I've come here today to clear my name and restore my reputation," he said. "I believe it's been damaged and unjustifiably and I'm here to repair what I can from my reputation after 20 years in the coaching game. "My kids have had to go to school after the firestorm that erupted. After 20 years, I've never had any issue with any team I've coached." While reading the prepared statement, Stajcic said "on tours, the Matildas are like a family" before briefly becoming overcome with emotion and needing to take a quick break and drink of water. Stajcic also referred to team captain Clare Polkinghorne's comments that there had been "no fat-shaming" or "evidence of a toxic culture" during her time with the national set-up. "I think that's reflective of how the whole team feels," he said before adding, "the support from the Australian sporting public has been overwhelming." Stajcic also didn't want to comment directly on anyone at Football Federation Australia. "I'm not here to talk about David Gallop or any [FFA] board members. I'm here to clear my reputation." Stajcic was also asked about how he feels the team will perform at the June World Cup in France. "They're a very focused team. There's a lot of strength and unity within the team. They've had a lot of hardship over the years," he said. "If this is a hardship for some it's another thing they will have to overcome. "But I've got no doubt they will be a force at the World Cup."